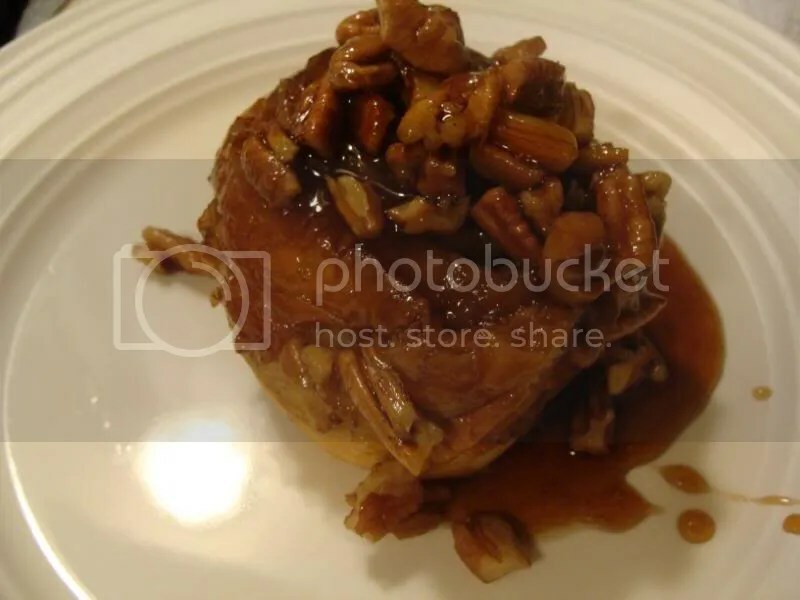 Sticky buns are one of my all time favorite dessert. A couple of weeks ago, I watched Bobby Flay do a Throwdown with Flour Bakery in Boston. (Amazingly, neither Nikki or KT, my two Boston friends, have been there). Her sticky buns looked amazing though. Ever since then I have been craving them. So this weekend I finally decided to make them. I made the dough, then it had to rise. It got so big! 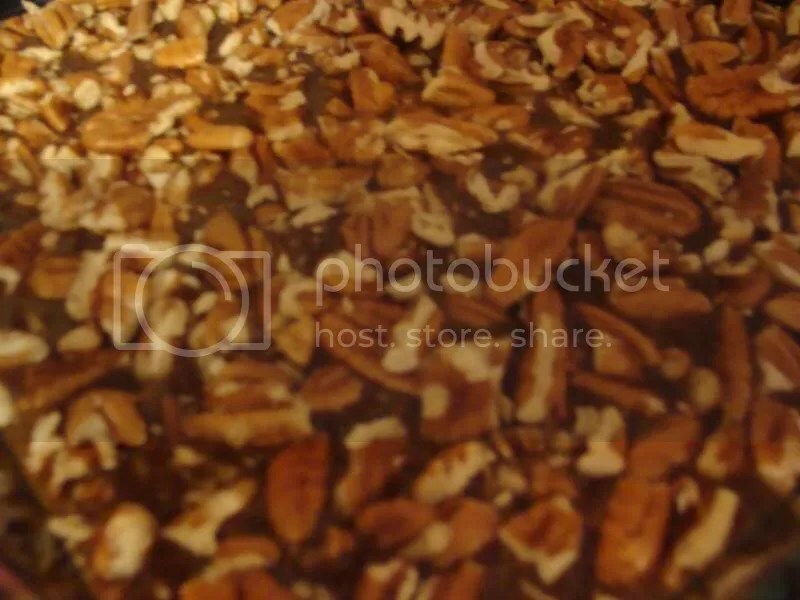 Making the caramel sauce and adding in the chopped pecans. Letting the rolls do their final rise. 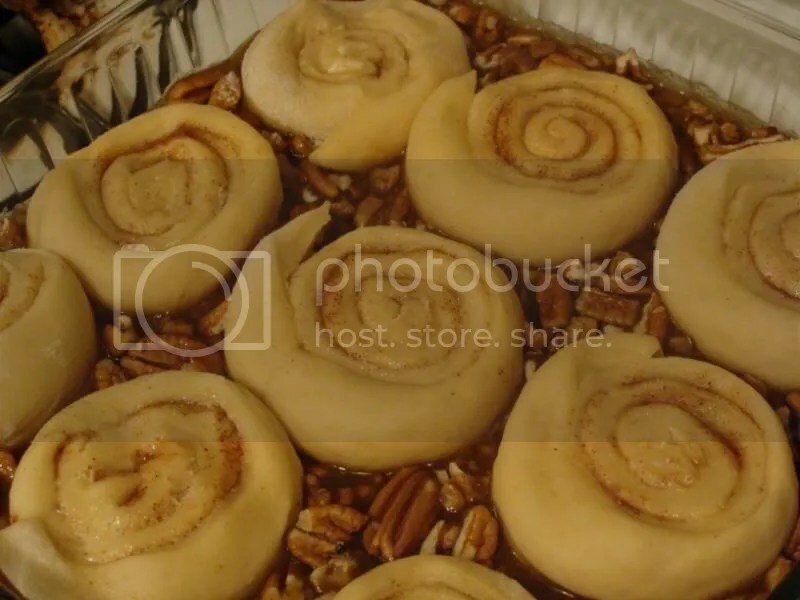 Then flip the pan over to let the gooey carmel run down the sides of the sticky buns. Ready to be eaten… and it’s only 10:30 at night, lol. 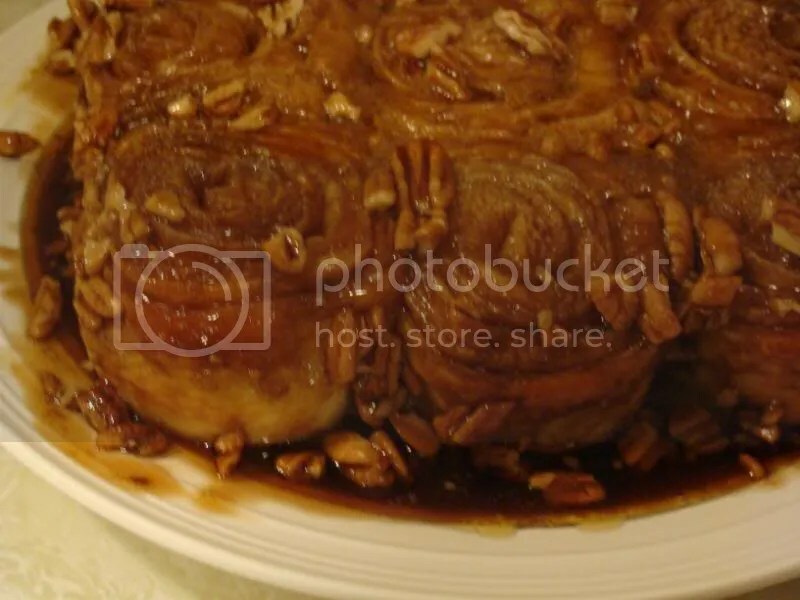 Mmmm… sticky buns. I agree with doubling the caramel sauce. Twice the caramel could never be bad. haha. Looks wonderful! I saw this episode as well and wanted to try them too! I have decided that Throwdown is dangerous – after watching the pie episode this weekend, all my husband and I wanted was pie. So I made one. Then we were watching last night and the pretzel one was on, and I can’t stop thinking about pretzels now!! How amazing is this. I miss only one thing – a perfectly brewed cup of coffee…. CB: The more caramel, the happier the party! Michelle: If you try them, let me know! lrfoodies: You must! Let me know if you try them. 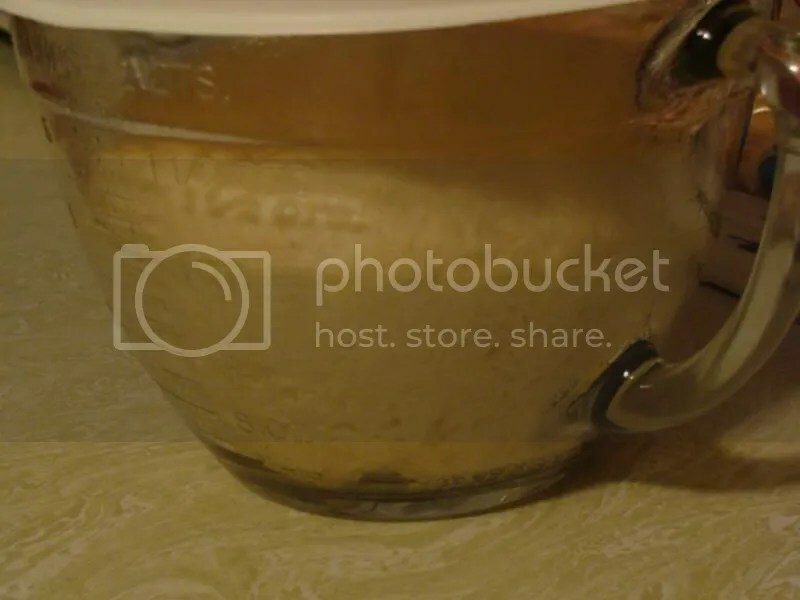 It is so much fun going to your blog to see what my granddaughter has cooked up now. It is hard to believe all the goodies you have made as a bride…I never made sticky buns my first year of marriage. So, So proud of you!!! !